What damages can a seller of real estate recover under New York law if the buyer decides to back out of the deal at the eleventh hour? Assuming everything else was in order, the seller may very well be able to retain the downpayment. And in an ideal world, the seller is then able to turn around and sell the property for substantially the same previously agreed-upon price to a third party. But what if he can't? "[T]he measure of damages is the difference, if any, between the contract price and the fair market value of the property at the time of the breach." The question as to the property's fair market value at the time of the breach is inherently an issue of fact. In other words, this issue will likely require a trial for ultimate determination. 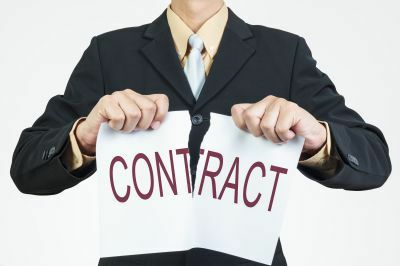 Another factor for the seller to consider is this: if the reason that the buyer backed out of the deal is because their financial situation rendered it impossible for them to purchase the property, what good will pursuing a judgment against the buyer do (other than enriching your lawyer)? Put differently, would a judgment against the buyer be uncollectible - and therefore pursuing further damages against the buyer constitute a waste of the seller's time and money? Post a Comment to "NY Property Seller's Damages When the Buyer Backs Out"